Enjoy a relaxing afternoon cruise and get a picturesque view of Victoria Harbour! this was a great activity, food was excellent, was not expecting good dimsum on a cruise tour. well worth the cost 100%. 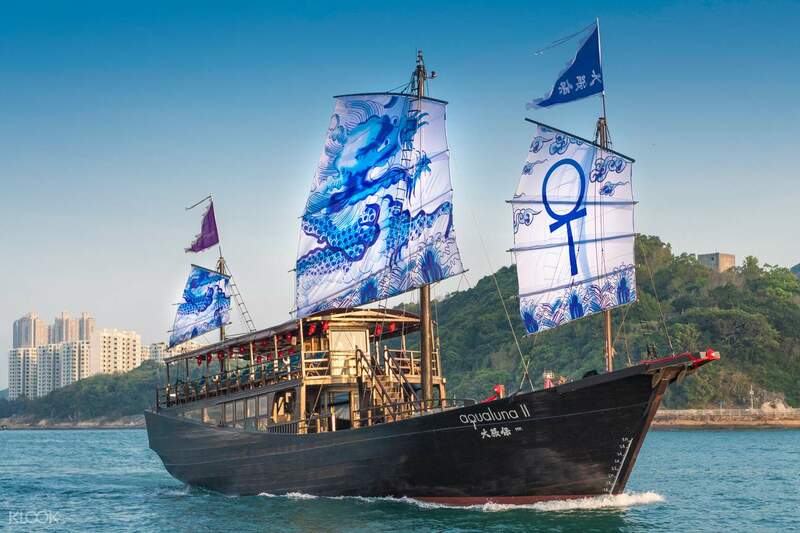 Enjoy a peaceful daytime cruise with this AquaLuna Dim Sum Cruise, a 2.5-hour trip that combines two of Hong Kong's best features - the gorgeous Victoria Harbour and tasty Dim Sum dishes! 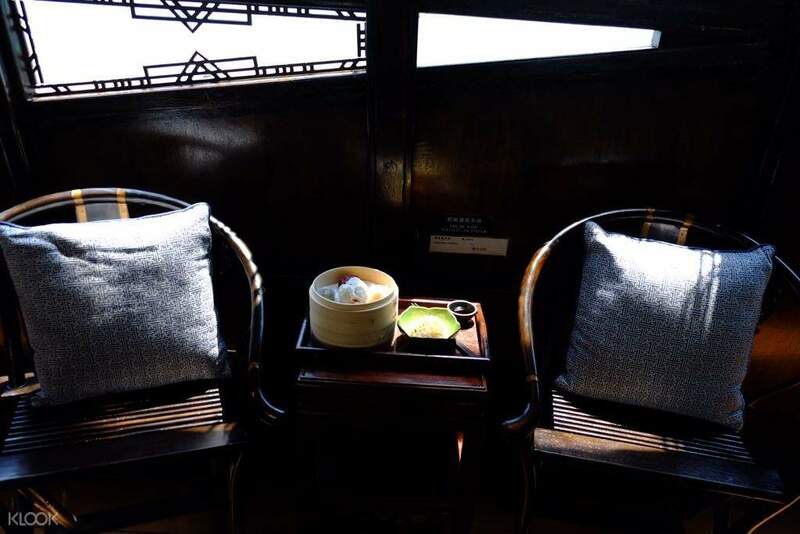 Choose from two different boarding points, Central and Tsim Sha Sui, and relax during the 90-minute journey to the old fishing point of Aberdeen. See a variety of vessels at the fishing port, including fishing junks and traditional sampans, as well as luxurious yachts and cruisers owned by Hong Kong's super rich! 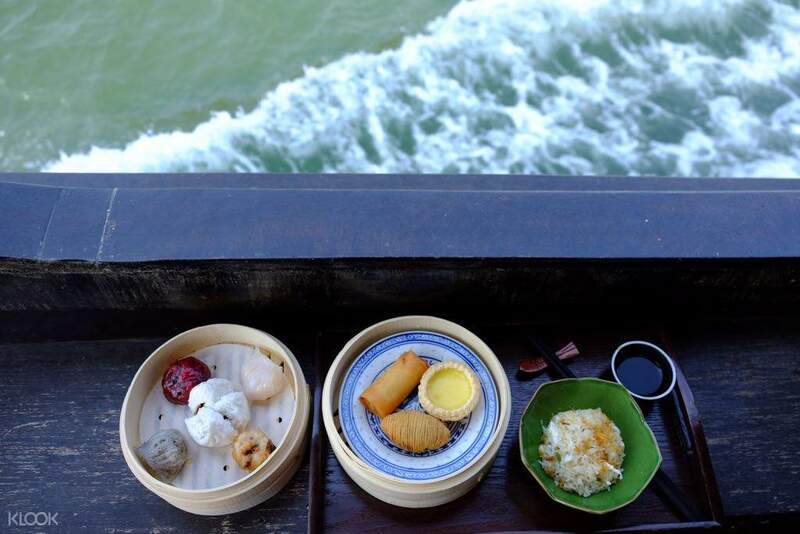 Take some time to sample a delicious selection of Dim Sum specially created by the chefs of Dim Sum Library, right before you head back to the pier. This cruise is a total treat for foodie explorers who are looking for new experiences! 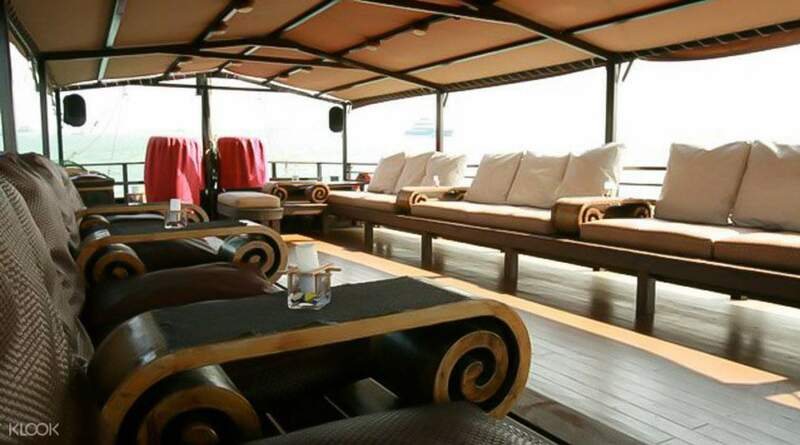 Combine delicious food and sightseeing on this AquaLuna Dim Sum Cruise! Food is alright only but redemption was really easy. Food is alright only but redemption was really easy. this was a great activity, food was excellent, was not expecting good dimsum on a cruise tour. well worth the cost 100%. this was a great activity, food was excellent, was not expecting good dimsum on a cruise tour. well worth the cost 100%. Wonderful outing and well worth the money! Staff were friendly and attentive and made sure all passengers were safe and happy. The dim sum was so delicious! What a wonderful way to sample typical Hong Kong food while sailing on a beautiful junk boat down the habour. Wonderful outing and well worth the money! Staff were friendly and attentive and made sure all passengers were safe and happy. The dim sum was so delicious! What a wonderful way to sample typical Hong Kong food while sailing on a beautiful junk boat down the habour. It was a beautiful day out on the Harbour, the sky was clear and the ride was mostly smooth. You get your sea legs pretty quickly, just brace yourself against the furniture. The staff is very courteous and quick to serve you the drink and dim sum, sometimes I was startled by how close they were! A tip: it does get windy and chilly, so bring a wrap or light jacket. The views are incredible and it's an experience I will remember for a long time. It was a beautiful day out on the Harbour, the sky was clear and the ride was mostly smooth. You get your sea legs pretty quickly, just brace yourself against the furniture. The staff is very courteous and quick to serve you the drink and dim sum, sometimes I was startled by how close they were! A tip: it does get windy and chilly, so bring a wrap or light jacket. The views are incredible and it's an experience I will remember for a long time. The weather was perfect. And it was an absolutely lovely Monday afternoon activity. I wish it were available on days other than Monday but I'm also glad it's only Mondays. Fewer guests made the experience more relaxing. The weather was perfect. And it was an absolutely lovely Monday afternoon activity. I wish it were available on days other than Monday but I'm also glad it's only Mondays. Fewer guests made the experience more relaxing. An excellant way to spend the afternoon on dimsum and seeing part of Hong Kong from the sea. The choice of dimsum was filling. Would have appreciate it if there was a map that indicate what the land side attractions we would be passing were. Crew was able to answer such questions though. Would also love it more if allow to drop off at Aberdeen or Stanley to pursue a secondary tour. A enjoyable trip well worth the time. An excellant way to spend the afternoon on dimsum and seeing part of Hong Kong from the sea. The choice of dimsum was filling. Would have appreciate it if there was a map that indicate what the land side attractions we would be passing were. Crew was able to answer such questions though. Would also love it more if allow to drop off at Aberdeen or Stanley to pursue a secondary tour. A enjoyable trip well worth the time. Amazing experience while having lunch out at sea!! The food was amazing especially the pastries, and the waiters were really friendly too. It was very cold. Would highly recommend while in hong kong! Amazing experience while having lunch out at sea!! The food was amazing especially the pastries, and the waiters were really friendly too. It was very cold. Would highly recommend while in hong kong!